Speculations are that the Flipkart cofounder could pick up as much as 75% stake in Chaitanya Rural Intermediation Development Services and join the company’s microfinance institution as CEO. 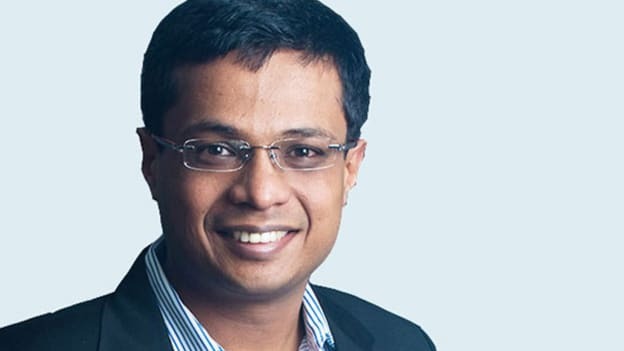 A recent report suggests that the 37-year-old internet billionaire, Sachin Bansal is keen to explore opportunities at the intersection of technology and user experiences in the banking domain. It was only last year that Bansal left the company he founded and sold his entire shareholding of 5.5 percent to Walmart as part of the sale of Flipkart to the US retail giant. Now, Bansal is looking to invest in a Bengaluru-based microfinance firm. The deal which could be a mix of the primary and secondary sale of shares is in the final stages and could get Bansal as much as 75 percent stake in Chaitanya Rural Intermediation Development Services which runs a microfinance institution, Chaitanya India Fin Credit (CIFCPL). The acquisition in CIFCPL is expected to make more inroads with his new venture, BAC Acquisitions. According to filings by the company, it has got shareholder approval for another “target acquisition”. While Bansal has not commented on the news, Samit Shetty, co-founder of Chaitanya shared that his company was in the process of raising Rs 150 crore in primary capital and had spoken with multiple prospective investors for the fundraising. Currently, Bansal’s net worth stands at $1 Bn. Since his exit from Flipkart Bansal has been showing a keen interest in the finance space. He has been investing in NBFCs. His first two investments have been in Non-Banking Financial Companies (NBFCs) — Altico Capital India and IndoStar Capital Finance via debt of $35.16 Mn each. Bansal has also been reported to meet a few executives at the Reserve Bank of India to figure out the regulatory needs to be eligible to start a bank, which suggests that he might be looking to launch a new venture in the fintech sector. Only time will tell which out of these many speculations are true. In case Bansal joins CIFCPL as CEO it would mark his return to the executive role after his stint in Flipkart. How he then makes the shift from e-commerce to finance space would be interesting to follow.